We moved in two days ago and everything went very smoothly. Chris was great and got us our keys and showed us around again and answered all my questions! I just checked out the new Healthy Vending Machine. I love it! I've lived in several apartment complexes and none have ever given residents the option to eat something healthy rather than candy and soda. Way to go Cielo!! 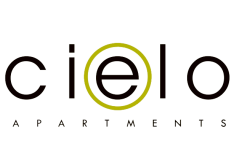 Friendly, helpful office staff, beautiful and clean property, apartment is spacious, and well maintained, parking is great, love the Cielo!! I am very excited to move in to my new apartment next month. Chris at the front office has been extremely helpful with all of my questions!! I’ve lived at Cielo for a few months now and am so happy I can call it home. Both myself and my dog enjoy walking around the property. My unit is very spacious, especially the kitchen area. I look forward to coming home everyday and can’t wait until summer when I can hangout by the pool! S far so good! Chris was amazing at the front, the community is rather quite but very dog friendly which is a plus. The new renovations are great and overall very happy! Living at Cielo has been an amazing experience. The community is very welcoming and there is a lot to do in the area. There are many great amenities at Cielo such as a hot tub, gym, and business center that are very useful for me. Quiet & convenient to RTD. Public areas need deep cleaning (pet stains/smells). Safely somewhat an issue. Exterior doors being propped open. Maintenance is timely and Wes is awesome! Chris is always amazing. Unfortunately the amenities need some love. The printer never works, pipes go out often, pool and hot tub are always dirty, heat needs frequent repair, and there was a leak in my ceiling that caused it to start crumbling off. Maintenance always comes quickly and do what they can and are very polite. Great place if you need quick access to the light rail. I love this place, except for the speed bumps in the garage. Management and maintenance stuff are nice. Apartment units are great. Lately they have being active organizing activities for the building, what is fun. One recommendation would be some air freshener at the gym. There are fans there but not really much ventilation. Good community so far. Maintenance was quick and fixed our issues within 20 minutes of reporting it. Facility seems to be kept clean and neighbors respectful. It’s been a great place to live. I really love the surrounding area and how close it is to the highway! It is also amazing living in such a clean complex. This is a great place to live. It's a pretty quiet community but there are a lot of small events put on by the managers here. The staff is always professional and communicate really well. we just signed a lease and have not moved in yet. Very satisfied with the efficiency of the staff. thank you Chris.We really enjoyed the pool, gym, activity room, safety and proximity to the light rail station. The only thing that is not very satisfactory is the stove. If it is a glass top stove, it is perfect! Front office is a bit hit or miss organization-wise, but still very nice. I wish they would allow key card access to the fire escape door on the north east side of the building; it's frustrating to have to walk all the way around the building when I'm coming from the light rail with bags and that door is right in front of my suite but can only be opened from inside. I love living here. Chris at the leasing office is fantastic. In addition the building is safe and secure, which I really appreciate. My fiancé and I really value our safety. Always have good help from the folks in the front office. Quiet apartment complex in a central location. Amenities are ok, the pool, hot tub, and workout facility have frequent problems. All in all, very good place to live. For the most part my resident experience has been great! The location is good, problems are fixed quickly. We have never had any big issues. Great place to live. The staff is extremely courteous and helpful, always prompt with any requests. The property is very well maintained with a focus on cleanliness in common areas. Extremely safe neighborhood, entertainment options within walking distance and the Light Rail close by. Management does a great job creating a community feel onsite as well, offering monthly entertainment options and get-togethers for residents. I'd recommend Cielo to any friend or family member. Very clean and neatly maintained place to stay. Amenities are good. Maintenance staff is excellent and very helpful. Repairing and maintenance work gets done quickly. Cielo is continues to be my favorite place of living. It's not only a safe place to reside, but also a great location. Very convenient to have the light rail so close. Great place to call home! Everybody seems to own a dog and I’m not the biggest dog person but the noise is kept to a minimum. This location is the best if you’re in avid public transportation user.